By integrating with many of the most popular service providers, you can work faster and more efficiently within FactSet or partner applications. We work with partners to help get your content into FactSet faster and to provide our high-quality data within other products you use. Integration with FactSet provides mutual clients with the ability to analyze Advent APX data within the FactSet workstation via FactSet's extract utility. Black Diamond: The Black Diamond wealth platform provides advisors with cloud-based portfolio management, reporting, and client communications tools, rebalancing backed by outsourced daily aggregation and reconciliation, and a high-touch service model. Seamless integration between Black Diamond and FactSet provides access to Black Diamond client data via the FactSet workstation. Advent APX: Advent Portfolio Exchange (APX) is an end-to-end solution that integrates all phases of the investment management process within a single platform. Integration with FactSet provides mutual clients with the ability to analyze Advent APX data within the FactSet workstation via FactSet's extract utility. Advent Axys: Increase productivity, improve accuracy and get a clear picture of your portfolios and their performance with Advent Axys.  Utilize FactSet's range of tools to analyze Advent Axys portfolios seamlessly within the FactSet workstation via FactSet's extract utility. Advent Moxy: With tools for portfolio modeling, rebalancing and drift analysis that feed directly into trade creation, Advent Moxy streamlines trading workflow while providing control and visibility across the entire trading process. Harness the power of FactSet's data integration and management expertise for a turnkey solution that delivers critical real-time exchange data. Founded in 2013 following a management buyout from Barclays Bank, Arabesque has been built in cooperation with leading academics from universities including Harvard, Stanford, Oxford and Cambridge. Founded in 2013 following a management buyout from Barclays Bank, Arabesque has been built in cooperation with leading academics from universities including Harvard, Stanford, Oxford and Cambridge. Their proprietary technology, Arabesque S-Ray®, allows investors to measure the sustainability of thousands of companies worldwide. The tool applies a quantitative and algorithmic approach to ESG data, empowering all stakeholders to make better decisions for a more sustainable future. Arbor provides a suite of applications and services for both the buy and sell side industry. With unique experience and business approach, they have developed an intuitive suite of products that are a delight to use. At Arbor we provide a suite of applications and services for both the buy and sell side industry. With our unique experience and business approach, we have developed an intuitive suite of products that are a delight to use. Portfolio Manager: Our Portfolio Manager is a portfolio, asset, and fund management software that provides buy-side institutions with detailed trade and position management. Arbor Trade Order Management System: We created Arbor Trade Order Management System, a software that possesses the ability to streamline your investment and trading workflow, hence saving you time from administration and compliance duties in the process. Our open source order management software will provide a clear & detailed one-page view of all orders associated with funds existing in our Portfolio Management System. Utilize FactSet’s real-time and delayed pricing to power Portfolio Manager and Arbor Trade Order Management System. Archer provides a fully integrated and secure cloud-based platform that simplifies the investment management process across channels, allowing management firms to scale rapidly. Archer® is a technology and services innovator for the investment management industry including institutional, private wealth, and retail managers. Archer provides a fully integrated and secure cloud-based platform that simplifies the investment management process across channels, allowing management firms to scale rapidly. Growth is supported with up-to-date and accessible technology—nothing to install, maintain, or slow down a manager’s core business. FactSet and Archer have developed a seamless integration which enables mutual clients to access account data from Archer within the FactSet workstation. Athena provides a fully featured Portfolio Management and Trade/Order Management Systems designed specifically for Hedge Funds. Athena Aura: Athena Aura provides a fully featured Portfolio Management and Trade/Order Management Systems designed specifically for Hedge Funds. Utilize FactSet’s suite of real-time and delayed pricing to power Aura’s powerful portfolio, performance and transaction views. Broadridge’s fully integrated and comprehensive investment operations platform combines order management, portfolio management, data management, risk, accounting and reporting in a single platform. Clearwater Analytics provides web-based investment accounting, portfolio reporting, and analytics for corporate treasuries, insurance companies, investment managers, and custody banks. Clearwater Analytics provides web-based investment accounting, portfolio reporting, and analytics for corporate treasuries, insurance companies, investment managers, and custody banks. Integration with FactSet provides our mutual clients the ability to view and analyze Clearwater's accounting data within the FactSet workstation. Launched in 2004, and with offices in Boise, Idaho and Edinburgh, UK, Clearwater Analytics reports on more than $1.8 trillion in assets for thousands of institutional clients worldwide. FactSet and Clearwater have developed a seamless integration which allows mutual clients to see their Clearwater accounting data within the FactSet workstation. Data3Sixty brings people and data together in a business-oriented, collaborative data governance platform. Data3Sixty brings people and data together in a business-oriented, collaborative data governance platform. Our unique approach enables organizations to efficiently share knowledge, resolve ambiguity, and build trust around one of an organization’s most important assets: its data. Data3Sixty’s cloud-based delivery model empowers your data governance team by providing the agility needed to navigate the most complex data challenges quickly and easily, while adding significant business value on Day One. Leveraging Data3Sixty as a partner yields even greater value for our clients as they become valuable members of a data-focused community that includes not only the Data3Sixty team but also the collective expertise of the industry which results in the achievement of truly governed data. Since 2012 Eagle Alpha has enabled asset managers to obtain alpha from alternative data They have a six-part solution that addresses the challenges that asset managers face when working with alternative data. Since 2012 Eagle Alpha has enabled asset managers to obtain alpha from alternative data. Eagle Alpha has a six-part solution that addresses the challenges that asset managers face when working with alternative data, whether they are only at the beginning of integrating alternative data into their investment process or are sophisticated users that have been working with alternative data. A recognized leader in the alternative data space, having been referenced in alternative data primers by the largest investment banks in the world in 2017, Eagle Alpha's vision is to be the "go to" firm for the alternative data needs of asset managers. Eagle’s integrated data management, investment accounting and performance measurement solutions can be delivered as a comprehensive suite or as individually-deployed solutions. Eagle’s integrated data management, investment accounting and performance measurement solutions can be delivered as a comprehensive suite or as individually-deployed solutions. FactSet currently integrates index and constituent level benchmark data into the Eagle platform. Encompass develops technology to automate Know Your Customer (KYC) policies and ensure adherence to processes designed for compliance with Anti-Money Laundering (AML) and Counter Terrorism Financing (CTF) regulations in financial, legal and accounting businesses. Encompass serves more than 200 firms globally who rely on its products to automate and manage AML/CTF risk and compliance while enabling growth through informed and timely business decisions. Encompass provides a regulator ready audit trail and reduces the risk of human oversight inherent in manual process. Provider of cloud-based solutions for hedge funds and institutional asset managers, Enfusion’s Integrata platform combines order management, portfolio management, risk management, and a fully-integrated general ledger, all within a single fully-hosted application. Provider of cloud-based solutions for hedge funds and institutional asset managers, Enfusion’s Integrata platform combines order management, portfolio management, risk management, and a fully-integrated general ledger, all within a single fully-hosted application. FactSet’s integration with Enfusion’s order management system provides a turnkey solution that delivers critical real-time exchange data, automated integration of your portfolio holdings, and powerful portfolio analytics. Envestnet Tamarac enables investment advisors and wealth managers to run their businesses with greater efficiency, scale and profitability through their custodian agnostic technology platform and outsourced portfolio management services. Envestnet Tamarac enables investment advisors and wealth managers to run their businesses with greater efficiency, scale and profitability through their custodian agnostic technology platform and outsourced portfolio management services. The integration enables mutual advisor clients to directly access aggregated and reconciled account data from Tamarac within FactSet to generate advanced portfolio analytics within the FactSet workstation. Simplify your data integration efforts and leverage FactSet’s decades of management expertise to access entitled real-time global exchange, reference, and benchmark data integrated within Eze Order Management System. Eze OMS: Simplify your data integration efforts and leverage FactSet’s decades of management expertise to access entitled real-time global exchange, reference, and benchmark data integrated within Eze Order Management System. Within FactSet’s turnkey data integration with Eze OMS, build integrated, efficient workflows configured to your individual needs. Tradar PMS: Eze Software’s multi-asset class portfolio management, accounting, and reporting solution, Tradar PMS, automates middle- and back-office workflows in an increasingly complex investment environment. Power your decision making process with the seamless integration of robust end-of-day pricing data and corporate actions information between FactSet and Eze Software’s Tradar. FINCAD is the leading provider of sophisticated valuation and risk analytics for multi-asset derivative and fixed income portfolios. FINCAD helps over 1,000 global financial institutions enhance investment returns, manage risk, reduce costs, comply with regulations, and provide confidence to investors and shareholders. FINCAD is the leading provider of sophisticated valuation and risk analytics for multi-asset derivative and fixed income portfolios. FINCAD helps over 1,000 global financial institutions enhance investment returns, manage risk, reduce costs, comply with regulations, and provide confidence to investors and shareholders. Clients include leading asset managers, hedge funds, insurance companies, pensions, banks, auditors and software vendors. 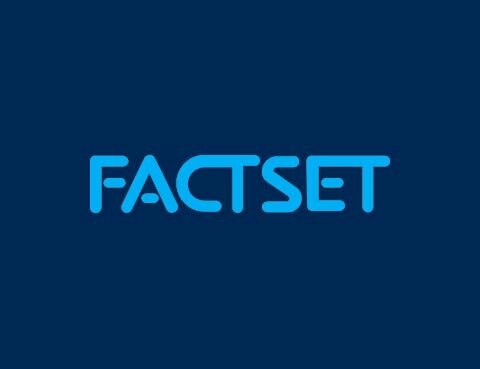 FactSet has partnered with FinFolio who provides investment management software to investment advisors and asset managers. Mutual clients of FactSet and FinFolio are now able to load their portfolio data from FinFolio which can now be made available via the FactSet workstation. FactSet has partnered with FinFolio who provides investment management software to investment advisors and asset managers. Mutual clients of FactSet and FinFolio are now able to load their portfolio data from FinFolio which can now be made available via the FactSet workstation. Finfolio offers a fully integrated administrative app, a web app and a client portal. FinFolio’s platform encompasses all portfolio management functions that an RIA or asset management firm would require including configurable user views, data reconciliation tools, customizable reporting, billing, trading/rebalancing, FIX connectivity and is multi-currency enabled. Clients of FinFolio are also able to host or outsource the product. Backed by some of the world’s leading financial institutions, data providers, and venture capitalists, the company is focused on helping FinTech entrepreneurs build great products. FinTech Sandbox is a Boston-based nonprofit that allows FinTech startup companies access to free content. Fintech Sandbox was started by a group of FinTech entrepreneurs and investors who recognized that the high cost and/or inaccessibility of data posed a consistent challenge to FinTech startups. Backed by some of the world’s leading financial institutions, data providers, and venture capitalists, the company is focused on helping FinTech entrepreneurs build great products. FactSet is a premiere partner of FinTech Sandbox and helps startups grow by offering guidance and access to content sets. Why? Because we want to grow the industry and work with some of the best and brightest entrepreneurs in the FinTech space. FundsLibrary is a hub for the financial services industry, bringing in data from asset managers, validating it, and distributing it to a range of data consumers (including wrap platforms, IFAs, DFMs, and wealth managers). FundsLibrary is a hub for the financial services industry, bringing in data from asset managers, validating it, and distributing it to a range of data consumers (including wrap platforms, IFAs, DFMs, and wealth managers). FactSet delivers entity, terms and conditions, and bond analytics data to enhance FundsLibrary’s Solvency II solution and provide a plug-and-play data solution for asset managers. INDATA iPM: Intelligent Portfolio Management is a platform and set of technologies for buy-side firms that allow end users to collaborate in real-time across the enterprise. iPM is designed to increase end user productivity, enhance the investment process and offers real-time risk, compliance and performance monitoring. INDATA iPM: Intelligent Portfolio Management is a platform and set of technologies for buy-side firms that allow end users to collaborate in real-time across the enterprise. iPM is designed to increase end user productivity, enhance the investment process and offers real-time risk, compliance and performance monitoring as well as integrated tools for marketing. FactSet’s integration within iPM provides real time pricing in iPM and allows mutual clients with access to holdings and transactions via the FactSet workstation. Interactive Brokers Group, Inc. is an automated global electronic broker that specializes in catering to financial professionals by offering trading technology, superior execution capabilities, worldwide electronic access, and sophisticated risk management tools. Interactive Brokers Group, Inc., together with its subsidiaries, is an automated global electronic broker that specializes in catering to financial professionals by offering state-of-the-art trading technology, superior execution capabilities, worldwide electronic access, and sophisticated risk management tools at exceptionally low costs. ISS ESG is the responsible investment arm of Institutional Shareholder Services Inc., the world’s leading provider of environmental, social, and governance solutions for asset owners, asset managers, hedge funds, and asset servicing providers. ISS ESG is the responsible investment arm of Institutional Shareholder Services Inc., the world’s leading provider of environmental, social, and governance solutions for asset owners, asset managers, hedge funds, and asset servicing providers. Under the ISS ESG umbrella are three discrete units that draw on deep historical and industry expertise, including: ISS-ethix, which enables investors to develop and integrate responsible investing policies and practices, engage on responsible investment issues, and monitor portfolio company practices through screening solutions; ISS-climate, which provides data, analytics and advisory services to help financial market participants understand, measure, and act on climate-related risks across all asset classes; and ISS-oekom, which provides corporate and country ESG research and ratings and enables its clients to identify material social and environmental risks and opportunities including through advisory services. ISS ESG clients rely on the expertise of all three to help them integrate responsible investing policies and practices into their strategy and shareholder voting decisions. For more information, please click here: www.issgovernance.com/esg. Whatever your investment style or strategy, Linedata Beauchamp delivers real-time portfolio management and reporting tools allowing hedge fund managers to manage positions and cash effectively. Linedata Beauchamp: Whatever your investment style or strategy, Linedata Beauchamp delivers real-time portfolio management and reporting tools allowing hedge fund managers to manage positions and cash effectively. Integration with FactSet provides users of the Beauchamp portfolio management and reporting modules with analytics powered by FactSet’s end-of-day pricing and security/reference data. LiquidityBook is a leading SaaS-based provider of buy- and sell-side trading solutions, including order management, portfolio management, trading, global FIX network connectivity, compliance, risk and pre- and post-trade processing. LiquidityBook is a leading SaaS-based provider of buy- and sell-side trading solutions, including order management, portfolio management, trading, global FIX network connectivity, compliance, risk and pre- and post-trade processing. Founded in 2005, the LiquidityBook platform is trusted by many of the industry’s most sophisticated buy- and sell-side firms to power their trading workflows. LiquidityBook leverages FactSet's real-time exchange and security reference data to power its system and is integrated with FactSet’s portfolio upload. MATLAB by MathWorks is a high-level technical computing language and interactive environment for algorithm development, data visualization, data analysis, and numeric computation. MATLAB by MathWorks: MATLAB is a high-level technical computing language and interactive environment for algorithm development, data visualization, data analysis, and numeric computation. Together, FactSet and MATLAB allow you to develop and implement complex financial models, analyze substantial volumes of data, and share strategies for risk, trading, economics, and portfolio analysis. MSCI ESG Research products and services are provided by MSCI ESG Research LLC, and are designed to provide in-depth research, ratings and analysis of environmental, social and governance-related business practices of companies worldwide. MSCI ESG Research products and services are provided by MSCI ESG Research LLC, and are designed to provide in-depth research, ratings and analysis of environmental, social and governance-related business practices of companies worldwide. ESG ratings, data and analysis from MSCI ESG Research LLC are also used in the construction of the MSCI ESG Indexes. MSCI ESG Research LLC is a Registered Investment Adviser under the Investment Advisers Act of 1940 and a subsidiary of MSCI Inc. Narrative Science's Quill™ platform is an intelligent system that analyzes data from disparate sources, understands what is interesting and important to the end user and then automatically generates perfectly written narratives for any intended audience. Narrative Science is the leader in advanced natural language generation for the enterprise. Its Quill™ platform, an intelligent system, analyzes data from disparate sources, understands what is interesting and important to the end user and then automatically generates perfectly written narratives for any intended audience, at unlimited scale. Specific to financial services, Quill automates the writing of client reporting, operational reporting, client-facing communications, and regulatory reporting. ONEaccess, a Visible Alpha company, is a content and interactions analytics hub that is changing the way the Buy-side and the Sell-side collaborate with one another. ONEaccess, a Visible Alpha company, is a content and interactions analytics hub that is changing the way the Buy-side and the Sell-side collaborate with one another. Founded in 2014, ONEaccess improves the efficiency of discovering, analyzing and valuing interactions between professionals on both sides of the market. Our growing suite of intuitive productivity tools fosters trust and transparency in the broker-client relationship, and frees up time for generating alpha in the process. OpenFin is the financial industry's operating system, enabling rapid and secure deployment, native experience and desktop interoperability. Move Fast. Break Nothing. OpenFin is the financial industry's operating system, enabling rapid and secure deployment, native experience and desktop interoperability. Used by the largest industry players through to the newest of FinTech innovators, OpenFin deploys more than a thousand desktop applications to more than 1500 buy-side and sell-side firms. OpenFin investors include Bain Capital Ventures, DRW Venture Capital, Euclid Opportunities, J.P. Morgan, Nyca Partners and Pivot Investment Partners among others. The company is based in New York with offices in London. FactSet has partnered with Albourne and the Open Protocol working group to provide a standardized Open Protocol Enabling Risk Aggregation solution. The Open Protocol comprises a template and manual which enable managers to report their risk and exposure information in a consistent format. FactSet has partnered with Albourne and the Open Protocol working group to provide a standardized Open Protocol Enabling Risk Aggregation solution. The Open Protocol comprises a template and manual which enable managers to report their risk and exposure information in a consistent format. Leveraging FactSet’s Multi-Asset Class (MAC) risk model, the solution is designed to promote transparency and consistency within hedge fund risk reporting. Open Protocol Enabling Risk Aggregation will help investors aggregate and integrate all of their investment exposures, and proactively manage their risks; hedge fund managers reduce the proliferation of investor-specific risk reports requested of funds over time, and attract more stable institutional investors; and regulators measure and monitor systematic risks arising from the hedge fund industry. Orion Advisor Services, LLC (“Orion”) is the premier portfolio accounting platform for advisors. 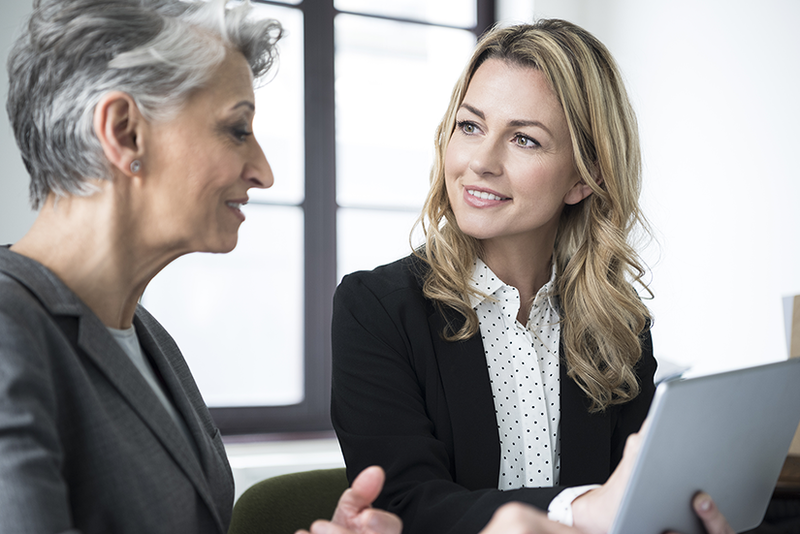 Founded for investment advisors by an investment advisor in 1999, Orion frees advisors from back-office tedium so they can enjoy their business again by devoting their time and energy to better serving clients. Orion Advisor Services, LLC (“Orion”) is the premier portfolio accounting platform for advisors. Founded for investment advisors by an investment advisor in 1999, Orion frees advisors from back-office tedium so they can enjoy their business again by devoting their time and energy to better serving clients. Orion provides the integrated and fully customizable technology solutions that advisors need to help grow their businesses over the long term. We empower more than 700 advisory firms with total AUA in excess of $225 billion, from more than 1 million individual accounts. Quantopian is a crowd-sourced quantitative investment firm that provides capital, education, data, a research environment, and a development platform to quantitative analysts. Quantopian is a crowd-sourced quantitative investment firm that provides capital, education, data, a research environment, and a development platform to quantitative analysts. Quantopian's community of more than 190,000 finance professionals, scientists, developers, and students research investment ideas, build algorithms with wide-ranging data and work toward becoming eligible for an allocation to their strategy. As a result, community members are testing more than 8 million strategies and, in the process, radically rethinking how individuals can be a part of the asset management industry. RepRisk is a leading research and business intelligence provider that specializes in environmental, social, and governance (ESG) and responsible business conduct risks analysis. RepRisk is a leading research and business intelligence provider that specializes in environmental, social, and governance (ESG) and responsible business conduct risks analysis. Headquartered in Zurich, Switzerland, RepRisk serves clients worldwide, enabling them to reduce blind spots and manage business conduct risks related to their operations, business relationships, and investments. R is an integrated suite of software facilities for data manipulation, calculation and graphical display. This statistical package provides a simple and effective programming language which includes conditionals, loops, user-defined recursive functions and input and output facilities. R is an integrated suite of software facilities for data manipulation, calculation and graphical display. This statistical package provides a simple and effective programming language which includes conditionals, loops, user-defined recursive functions and input and output facilities; a suite of tools for data analysis and calculations of arrays, in particular matrices; and graphical facilities for data analysis and display either on-screen or on hard copy. Focusing exclusively on end-to-end implementation of Salesforce.com products and powerful third party applications, Silverline’s results-driven methodology leverages the best practices developed from over 800+ deployments within Financial Services and Healthcare industries. Silverline is a Salesforce Platinum Cloud Alliance Partner headquartered in New York City with consultants throughout North America. Focusing exclusively on end-to-end implementation of Salesforce.com products and powerful third party applications, our results-driven methodology leverages the best practices that we have developed over 800+ deployments within Financial Services and Healthcare industries, as well as Platform development. Our vertical solutions are pre-built customizations developed on the Salesforce Platform allowing for fast implementation and seamless integration. Silverline also offers a suite of popular AppExchange applications, including the best-selling CalendarAnything and the newest product, The WaterCooler, an Intranet Platform. Silverline is able to integrate any of FactSet’s extensive content into Salesforce. Sustainalytics is a leading global provider of ESG and corporate governance products and services. Sustainalytics is a leading global provider of ESG and corporate governance products and services, supporting investors around the world in the development and implementation of responsible investment strategies. For over 25 years, the firm has been at the forefront of developing high-quality, innovative solutions to meet the evolving needs of global investors. Today, Sustainalytics works with hundreds of the world’s leading pension funds and asset managers who incorporate ESG and corporate governance information and assessments into their investment processes. With 17 offices globally, Sustainalytics has more than 500 staff members, including over 200 analysts with varied multidisciplinary expertise across more than 40 industry groups. For more information, visit www.sustainalytics.com. Tier1CRM is the vision leader in enterprise-class Cloud Computing products for the Financial Services industry. The Tier1ACE™ product suite has attracted a prestigious client base of industry leaders in areas such as Research, Sales and Trading, Investment Banking and a growing spectrum of financial businesses. Tier1CRM is the vision leader in enterprise-class Cloud Computing products for the Financial Services industry. The Tier1ACE™ product suite has attracted a prestigious client base of industry leaders in areas such as Research, Sales and Trading, Investment Banking and a growing spectrum of financial businesses. Tier1CRM’s advanced CRM solutions helps customers to compete and service their clients more effectively through faster access to relevant information, improved communication and higher levels of workflow automation. Tier1CRM solutions are distinguished for their incredible usability, pace of innovation, and degree of flexibility – which makes them particularly well suited to financial firms looking for the best CRM products on the planet. Trucost is part of S&P Global. A leader in carbon and environmental data and risk analysis, Trucost assesses risks relating to climate change, natural resource constraints, and broader environmental, social, and governance factors. Trucost is part of S&P Global. A leader in carbon and environmental data and risk analysis, Trucost assesses risks relating to climate change, natural resource constraints, and broader environmental, social, and governance factors. Companies and financial institutions use Trucost intelligence to understand their ESG exposure to these factors, inform resilience and identify transformative solutions for a more sustainable global economy. S&P Global's commitment to environmental analysis and product innovation allows us to deliver essential ESG investment-related information to the global marketplace. For more information, visit www.trucost.com. Truvalue Labs is the first company to apply artificial intelligence (AI) to uncover timely and material Environmental, Social, and Governance (ESG) information at the speed of current events. Truvalue Labs is the first company to apply artificial intelligence (AI) to uncover timely and material Environmental, Social, and Governance (ESG) information at the speed of current events. The company’s mission is to deliver increased transparency to investment professionals by providing data and analytics that go beyond traditional fundamentals. The flagship product, Insight360, delivers investable insights by revealing intangible value and risk factors found in unstructured data. Trusted by over 150 of the world’s top-tier banks and brokers, Ullink provides consistent, reliable access to the most current and innovative trading solutions available. Ullink is a global provider of market leading multi-asset trading technology and infrastructure for buy-side and sell-side market participants, including NYFIX, one of the industry’s largest FIX based trading communities. Trusted by over 150 of the world’s top-tier banks and brokers, the company provides consistent, reliable access to the most current and innovative trading solutions available. Our multi-asset solutions allow you to connect to your desired markets, trade when and where you want, while being able to comply with global regulation. From our 10 offices covering all the major global financial centers, our team will advise on the best approach to address your challenges and deploy our technology. Are you already an NYFIX user? If so, let your FactSet representative know today, as you will earn credits towards your FactSet solution.